For many homeowners, a good energy audit can be the key to finding and fixing problems with wasted energy in a house, even as the recommended improvements deliver threefold benefits — in cost, comfort and environmental sustainability — for home residents. For starters, getting an energy audit, and following up on at least some of the recommended improvements, can save homeowners 20 percent or more on their annual utility bills, depending on the house and its problems, according to energy experts. Beyond the cost savings, using less energy also helps protect the environment, while the upgrades make homes more comfortable by eliminating drafts and putting an end to rooms being too hot or too cold. It also may be a uniquely eye-opening experience. “When we go into a house and tell (the residents) that there’s only 1 inch of insulation in their attic, they’re usually floored,” said Bryan Ott, who has done dozens of home audits in the past seven years for Project Home, a non-profit based in Madison that helps low- and moderate-income households improve the quality and affordability of their homes. “We can tell them, ‘That’s why you’re heating the outside, and your bills are escalating,’” Ott added. 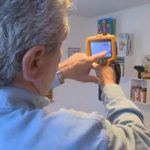 But an energy audit makes more sense for some homeowners than others, and anyone who gets one should know what to expect and how to prepare for it. 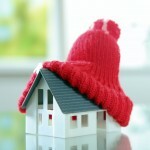 In general, the older a home is, the more it’s likely to benefit from audit-recommended improvements, such as sealing air leaks, sealing and insulating air ducts, replacing old appliances, windows and heating/cooling systems with energy-efficient models, upgrading lighting, and adding insulation to walls and attics. Certain home styles, including Cape Cods, tri-level homes and homes built with living space over the garage, tend to bleed energy more and have higher utility bills due to inefficient design, Beers said. Audits can pinpoint the problems in homes like that, as well as in houses where fuel bills seem too high or where residents are feeling drafts or cold rooms where there shouldn’t be any. Often those are signs that there’s not enough insulation in a wall, Ott said. To set up an energy audit, a good first step for homeowners is to contact their local utility to see if it offers a program offering discounts on improvements and suggestions for reputable local contractors to do the audit and the recommended improvements. 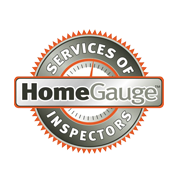 Homeowners should look for energy auditors who are well trained in the latest building science, as evidenced by earning a certification from the Building Performance Institute (BPI) or RESNET, the Residential Energy Services Network, Beers said. It’s also a good sign if they bring testing equipment, including a blower door and an infrared camera to do the audit. 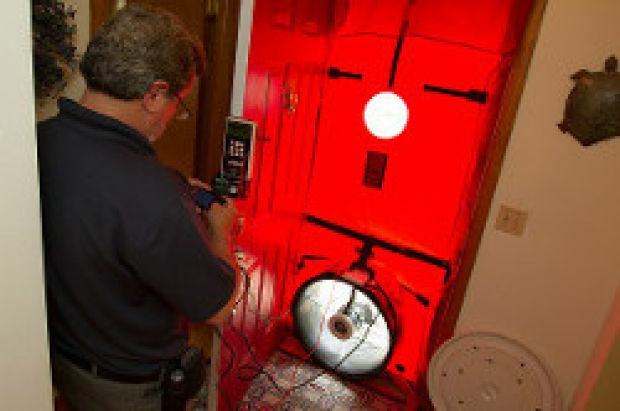 Blower doors incorporating powerful fans help auditors measure the amount of air leakage in a home, while infrared cameras can measure the temperature of walls to check for missing insulation. A piece of equipment known as a combustion analyzer also may be used to check the furnace efficiency. By contrast, a so-called “clipboard audit,” or one that doesn’t use testing tools, by definition will be less thorough and less accurate, Ott and Beers said. The audit should take about three hours. Homeowners should ensure easy access to the attic hatch and furnace area for the audit, removing any personal items or storage in the way. Residents also will be asked to share their concerns about problem areas in the house, but beyond that, there’s not much they need to do to prepare, Ott and Beers said. Homeowners should get a report on the results and recommended actions by phone or in the mail within a week. Written reports may include photos documenting the air leakage or other problems seen. How much a homeowner can save on utility bills after an audit will depend on how many of the recommended improvements are done, and on what kind of condition the home was in originally.